Hatshepsut was the eldest of two daughters born to Egyptian King Thutmose I and Queen Ahmose Nefertari. Her younger sister died in infancy, meaning twelve year old Hatshepsut was Thutmose I’s only surviving child from his marriage to the queen. However Thutmose I, like other Egyptian pharaohs, maintained secondary wives also known as harem wives. Any sons born from those relationships could rise to the position of pharaoh should the king and queen be unable to produce a male heir. So the position of pharaoh skipped Hatshepsut and instead went to her half-brother, Thutmose II. She still came into power as the Queen of Egypt when she married her half-brother at the age of 12. The marriage served a vital purpose of establishing Thutmose II’s legitimacy as king. Being the son of Thutmose I’s harem wife was only one of his problems. Hatshepsut’s grandfather failed to father any male heirs as well. So Thutmose I became king after marrying into the royal family, further diminishing Thutmose II’s claim to the throne. But by marrying his sister, it helped solidify his link with the line of royals. Engravings from Thutmose II’s reign appeared to show Hatshepsut performing the role of a dutiful queen. Though the union failed to produce a son; their only child was a daughter named Neferure. So when Thutmose II died shortly after taking over, his son from a harem wife became the next pharaoh. Except there was a catch- Thutmose III was only an infant at the time of his father’s death and much too young to ascend to the throne. Hatshepsut stepped up to handle the business of running the Egyptian government as regent for her stepson/nephew. She did not break new ground in that regard as widowed queens often served as regent when the male heir was not old enough to rule the country. Engravings illustrating their relationship for the first years appeared to show a similar scene to those of Thutmose II’s rule: Hatshepsut standing behind Thutmose III as he performed his duties as pharaoh. Then at some point during the first seven years of Thutmose III’s reign, Hatshepsut took the unprecedented step and declared herself pharaoh and co-ruler with Thutmose III. Women had previously been pharaohs, and there were no laws explicitly forbidding her from holding the position. However, those other female pharaohs only assumed the position when no male heirs existed in the royal family. Thutmose III was very much alive. Previously Egyptologists attributed her decision to take over as simple ambition and desire for power. However, more recently this idea has been largely dismissed and her takeover is thought to have been about protecting Thutmose III’s throne, which he may have had a tenuous hold over for similar reasons to his father. It is theorized that a political crisis might have forced her to take on the role of king or risk Thutmose III losing his position for good. The evidence appears to back up this theory as Hatshepsut could easily have ordered Thutmose III’s death while pharaoh, ridding herself of anyone who had as good of a claim on the throne as herself. Instead, she made sure he received a top notch education typically reserved for scribes and priests, creating something of a future scholar-king. Later Thutmose III joined the military. 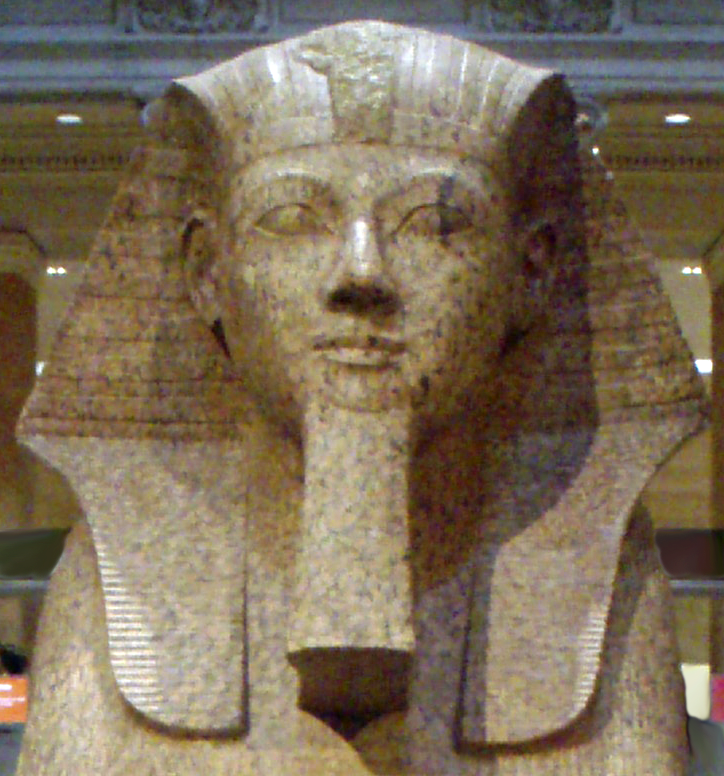 After he gained some experience there and proved himself worthy, Hatshepsut ultimately named Thutmose III the supreme commander of her armies. In this position, had he so chosen, he could have relatively easily overthrown her, but made no such move. The stories must have been convincing, or else Hatshepsut cultivated the right friendships among government officials, as she ruled over Egypt for about two decades, much longer than most pharaohs managed. During this time, Egypt enjoyed relative peace and great prosperity. Using the excess, she oversaw grandiose construction projects throughout her kingdom, being one of the most prolific of all pharaohs at instituting such projects, both in number and scale. She also notably orchestrated significant trade with a land called Punt, as well as cultivated many other trade networks to Egypt’s benefit. Historians believe Hatshepsut died around the year 1458 BC. Based on studying her body, it is generally thought she died of either complications due to diabetes or bone cancer. Whatever the case, upon her death, Thutmose III ascended to the position of pharaoh. As mentioned, he now presided over an Egypt that had prospered greatly under Hatshepsut’s rule. However, about two decades into his reign, for reasons unclear today, he began ordering his men to remove mentions of Hatshepsut as pharaoh. Her name and image were destroyed, scraped form engravings and her statues toppled- no easy task considering the numerous buildings and other works built under her rule, often featuring her in some way in them. It was originally speculated that he did this out of anger for her usurping his throne earlier in his life. However, given that about two decades passed before he bothered and the seemingly good relationship the pair had during her rule (as commander of Egypt’s armies and the rightful heir, he could have overthrown her with little difficulty if he had really chafed at her rule), today it’s theorized that this act was probably more about legitimizing his own son’s rule. It’s even possible his son, Amenhotep II, was the one who ordered all this. Thutmose III was getting up in years at the time and Amenhotep II had become coregent around the time Hatshepsut began to be erased from history. It is also known that Amenhotep II did attempt to take credit for many of the things Hatshepsut had actually accomplished. No matter the reason, much of Hatshepsut’s life was successfully removed from the history books until the 19th century when her story was uncovered in surviving works, starting with texts on the Deir el-Bahri temple walls. Hatshepsut’s empty sarcophagus was discovered by Howard Carter in 1903 in a burial chamber located within the Valley of the Kings. The chamber also contained the sarcophagus belonging to her father, Thutmose I.
Egyptian archaeologist and former Egyptian Minister of Antiquities announced in 2007 that he and his team believed they discovered the mummy of Hatshepsut while filming a documentary for the Discovery Channel. The team brought four unidentified female mummies to the Cairo Museum and subjected them to CT-scans. The accidental discovery of a tooth in the wooden box with Hatshepsut’s cartouches allowed the team to tentatively identify an obese, forty to fifty year old mummified woman as the pharaoh. Her mummy had previously been thought to be Hatshepsut’s nursemaid. Pharaoh’s married their sisters because princesses were born Queens and the only way for a man in the royal family to become a Pharaoh was to marry a Queen. Ancient African civilizations were also not patriarchal societies so it’s not surprising that no one really stopped Hatshepsut from declaring herself Pharoah.